Frankie's remarkable tale of endurance and strength started in July 2012. 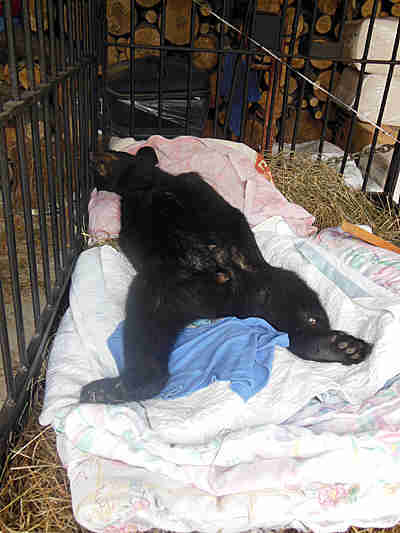 Frankie, a young black bear, was struck by a car. The impact shattered one of his legs. The driver who injured him didn't drive away, but contacted the police for help - and that made all the difference. 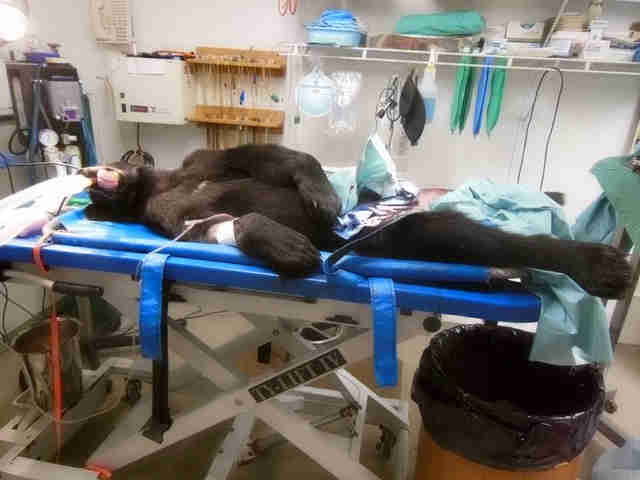 Frankie was taken to the Orphaned Wildlife Center in upstate New York, where he remained in a coma for three days, according to a blog post recounting his rescue. On the fourth day, Frankie woke up, but there was devastating news - he was unable to stand, let alone walk or run the way any playful bear cub ought to. He was paralyzed, only able to move his mouth and blink. His caretakers at the center fed him with a syringe. "Because of the severity of his injuries, we decided on the first day that if things were not better after one week we would put him to sleep," the center wrote in the blog post. "Well after one week, of course, we had fallen in love with him and putting him to sleep was no longer an option. So we decided to keep trying." Frankie proved that he was ready to keep trying as well - with the care afforded to him in the form of various treatments, ranging from physical therapy to massage and even laser therapy. During that time, all Frankie could do was lie on his back. But then one day, he showed that the efforts of the entire team caring for him weren't in vain. To everyone's surprise, he moved his arm. Things were only going to get better for Frankie from there on out. A steel rod was placed into his broken left hind leg and he was placed on bed rest for another six weeks to allow the limb to heal. In the meanwhile, he continued to gain strength and mobility in his other limbs. 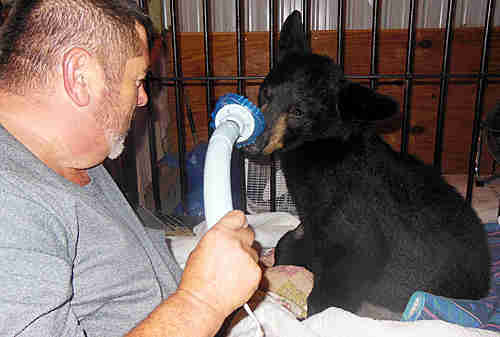 Frankie showed trust toward his caretakers and never displayed any signs of aggression toward them - an unusual situation for a completely wild bear. Given his special situation, staffers at the wildlife center knew Frankie couldn't be released back into the wild after his leg healed, and decided to give him a permanent home at the center. "His best chance for a happy life would be if he could live with our girls Maddy, Judy, Jenny, Amy and Sonya," the center wrote. "We put him next to the girls [in an enclosure] so he could get to know them while he was still recovering." With time, Frankie was soon able to walk, learning how to hobble around without putting much pressure on his leg until it was back to 100 percent. Once Frankie's leg was healed, he was introduced one by one to the female bears, who were all older than him and resistant to change. But within a week, Frankie was completely settled in with his new friends. He learned how to wrestle with them and in turn, taught them to appreciate something new in addition to his companionship. "Before Frank came to live here, the girls never ate sunflower seeds," a staffer at the center told The Dodo. 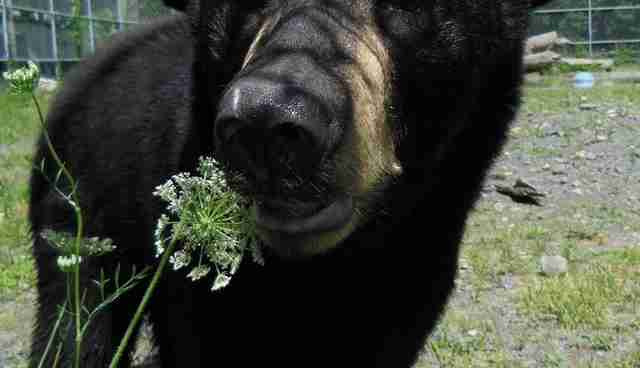 "He loves sunflower seeds. He was able to show them what they were missing." Frankie, who is now 5 years old, spends his days playing around or lazing about. To any outsider looking in, it would be impossible to guess that, just a few years ago, he was bedridden and bogged down by an uncertain future. 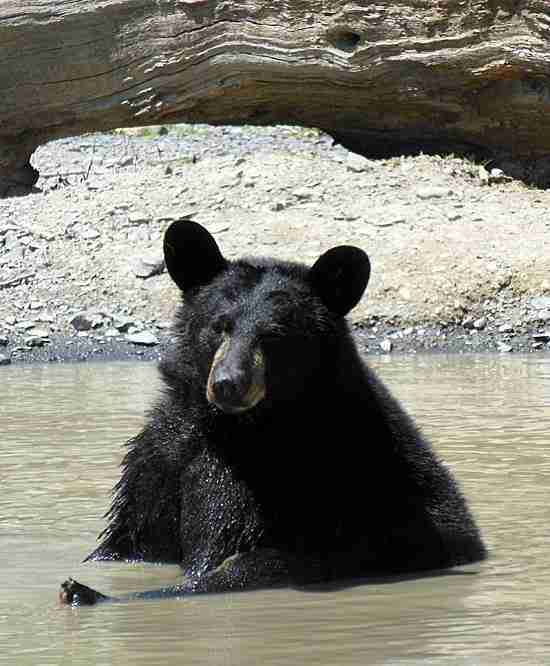 "It is hard to believe that a wild bear could go through all of this," the center wrote. 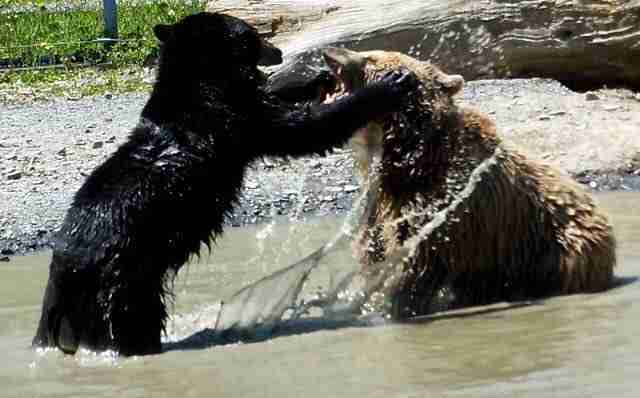 "It is even more amazing that he developed such a wonderful relationship with us and the other bears." Now he's the most easygoing guy who likes to keep his bear sisters on his toes - and cuddle with them throughout the winter, a staffer at the center told The Dodo. Frankie has gone through so much, but his happy ending goes to show just how far a little hope and a lot of drive can go. You can keep up with Frankie and his adventures with lady friends on Facebook.